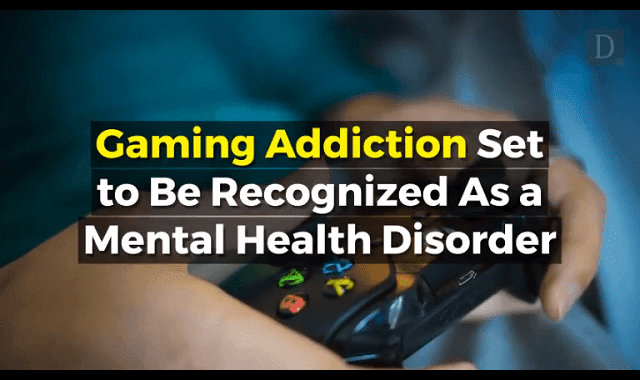 Gaming Addiction Set To Be Recognized As Mental Health Disorder #Video ~ Visualistan '+g+"
Most of us understand how diseases like alcoholism and drug addiction can cause pain and suffering. Craving a cigarette or a stiff drink on occasion is one thing, but addiction forces an individual to behave in unusual—and often destructive—ways in the service of finding the next fix. But you can also become addicted to behaviors, like gambling. And medical professionals are starting to realize that in the modern age, behavioral addictions can turn seemingly harmless things—like video games—quite dangerous. In fact, there’s reason to believe that the World Health Organization may soon classify gaming disorder—an addiction to playing video games—as a real mental health condition.